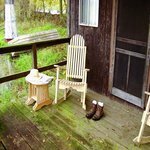 The Porch Rocker is made from treated yellow pine wood with stainless steel bolts and screws. All of our Amish outdoor furniture is proudly made in the USA. 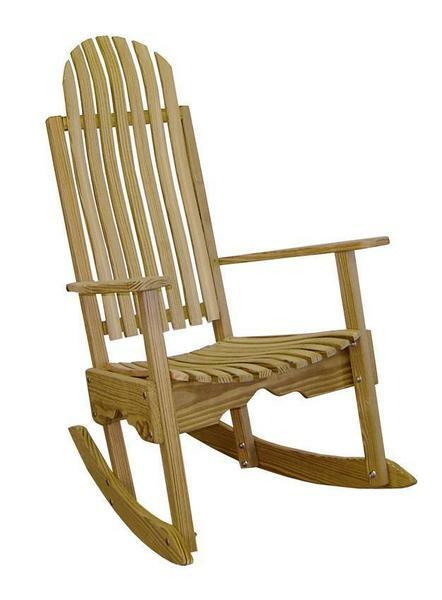 You will enjoy the outdoors a lot more while rocking in this quality constructed rocking chair. This porch rocker usually ships within two weeks of order. Please call if you need to receive it sooner.